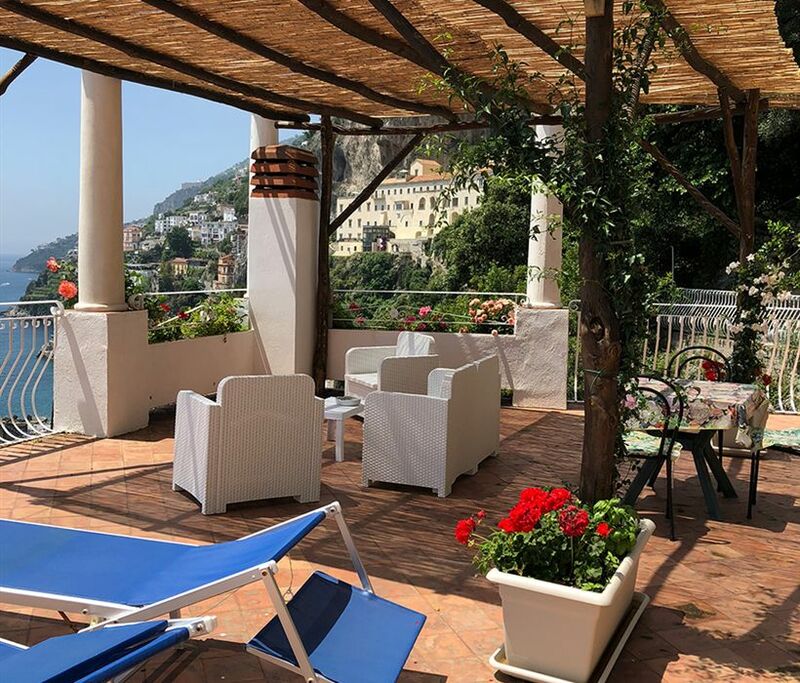 This apartment will give a special frame to your holiday in Amalfi. 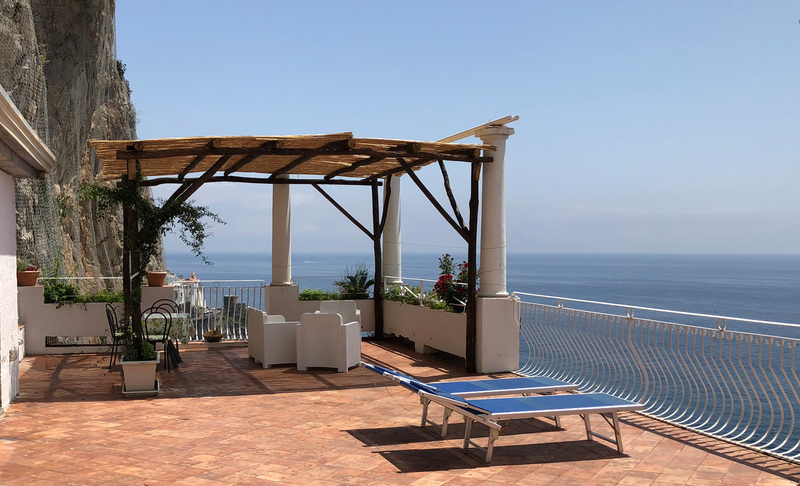 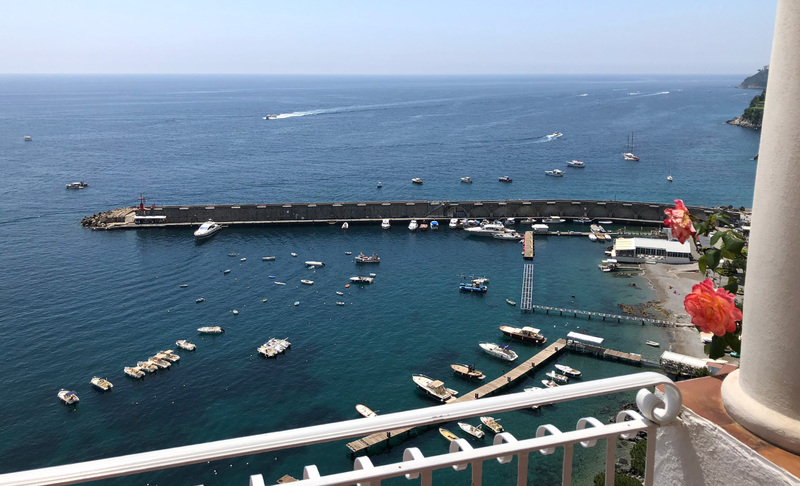 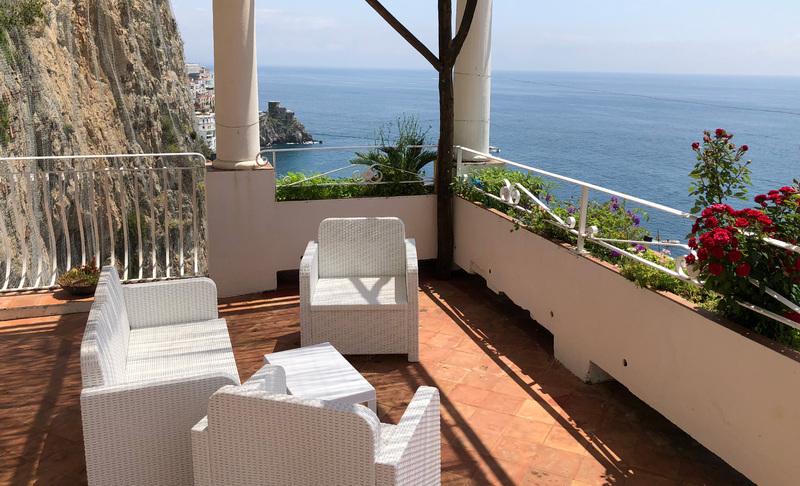 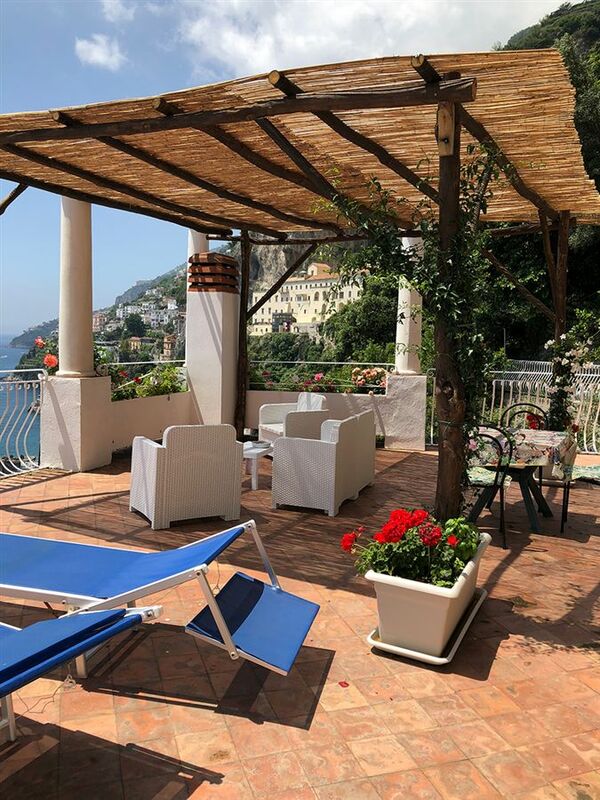 Reachable through 250 steps that will take you to paradise, this apartment will give you a special stay thanks to the large panoramic terrace equipped with deckchairs and tables, where you can enjoy a breathtaking view of Amalfi and its coast. 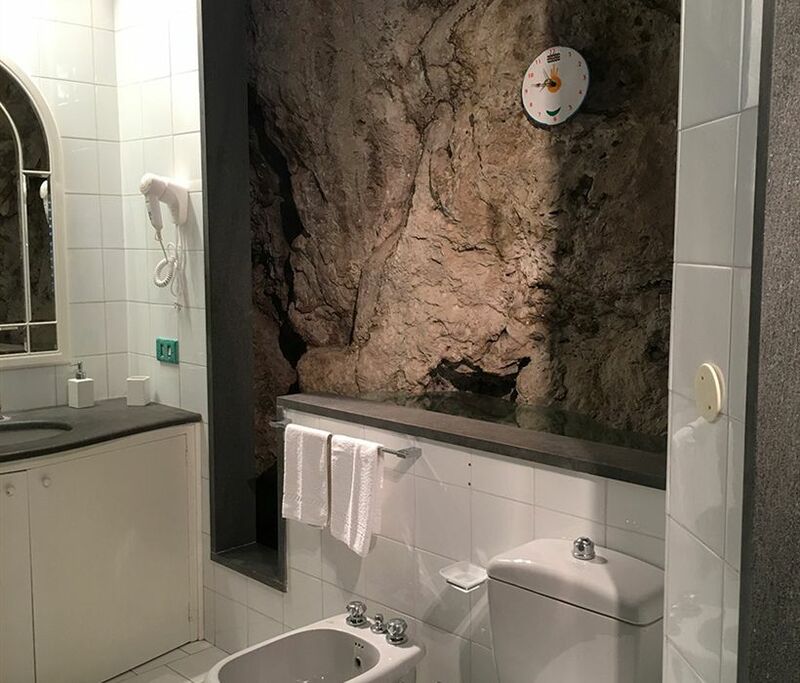 For your stay, we will not let you miss anything! 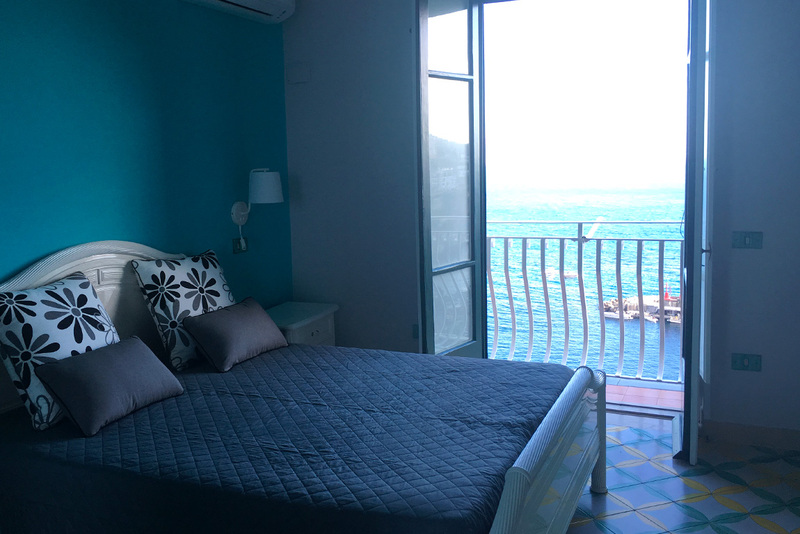 Ideal for medium-long stays, the Aquamarine apartment with sea view is accessible via 250 steps and is equipped with microwave, toaster, refrigerator, stove and coffee machine. 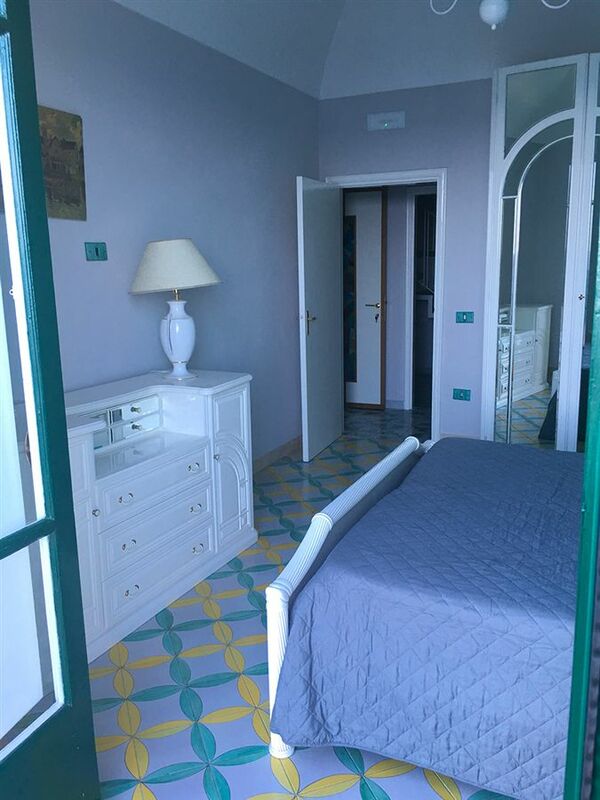 Composed of a double bedroom with a double bed, which can be divided on request, a living room with a double sofa bed, a kitchenette and an en suite bathroom, which can comfortably accommodate up to 4 people. 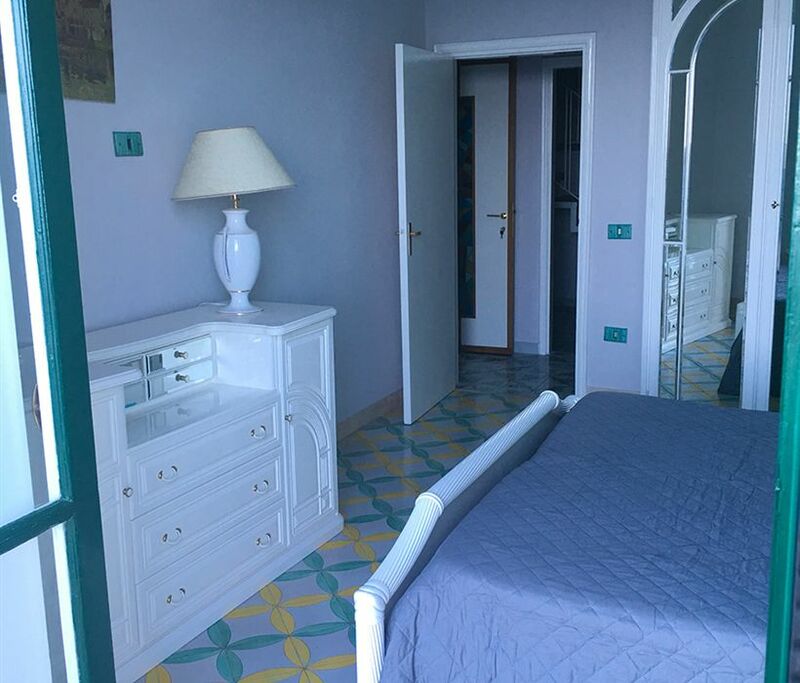 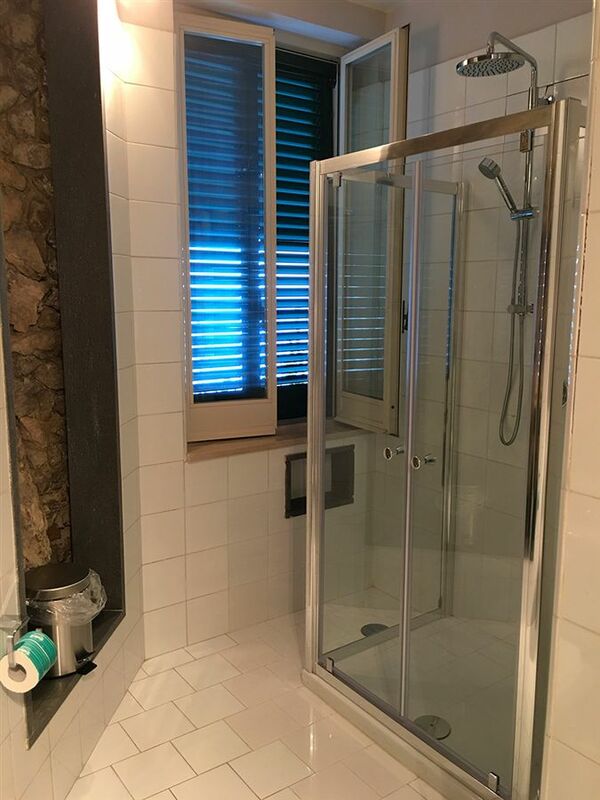 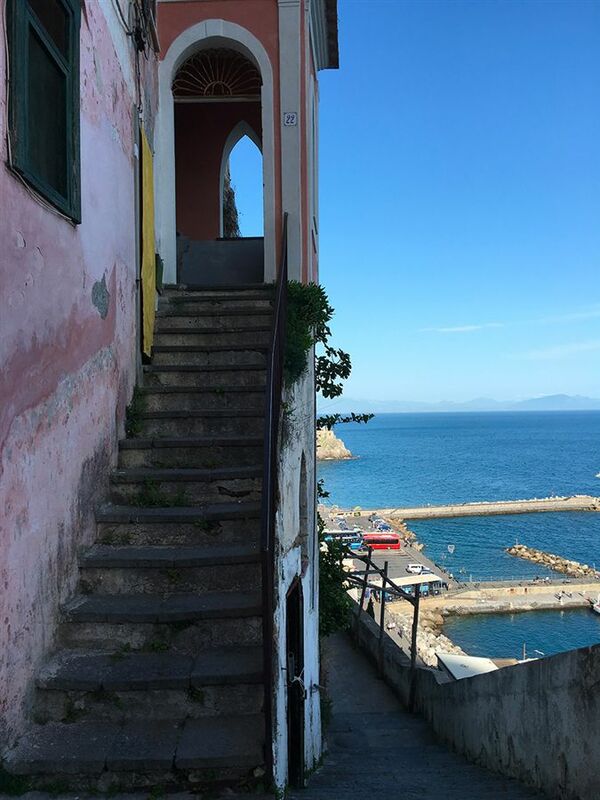 The Aquamarine apartment has a lovely terrace overlooking the sea and two comfortable private bathrooms with antique Vietri majolica tiles. 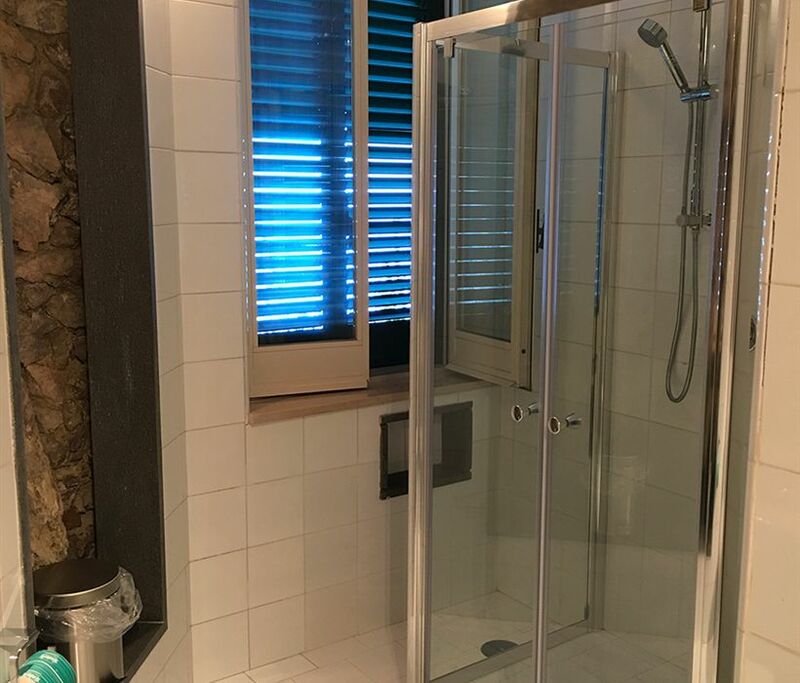 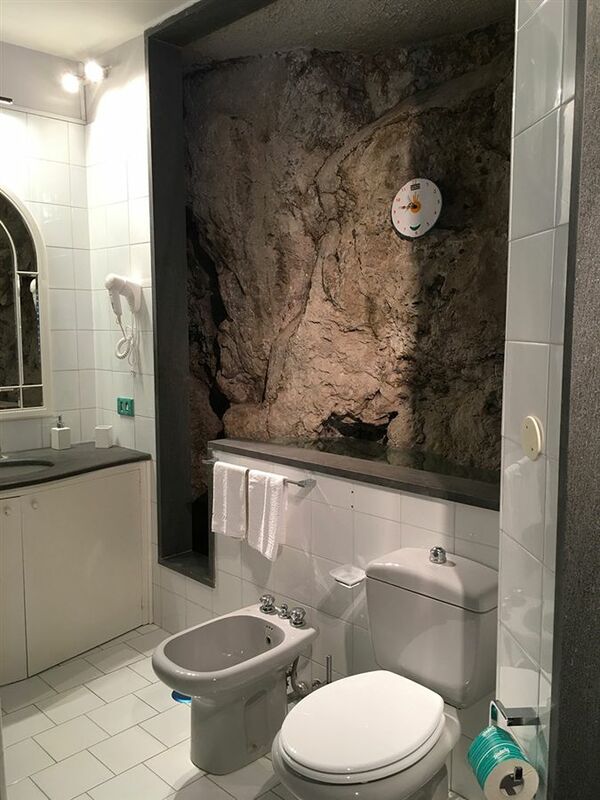 The particularity of this apartment, of emerald green color, is to have one of the two bathrooms with a wall of suggestive natural rock. 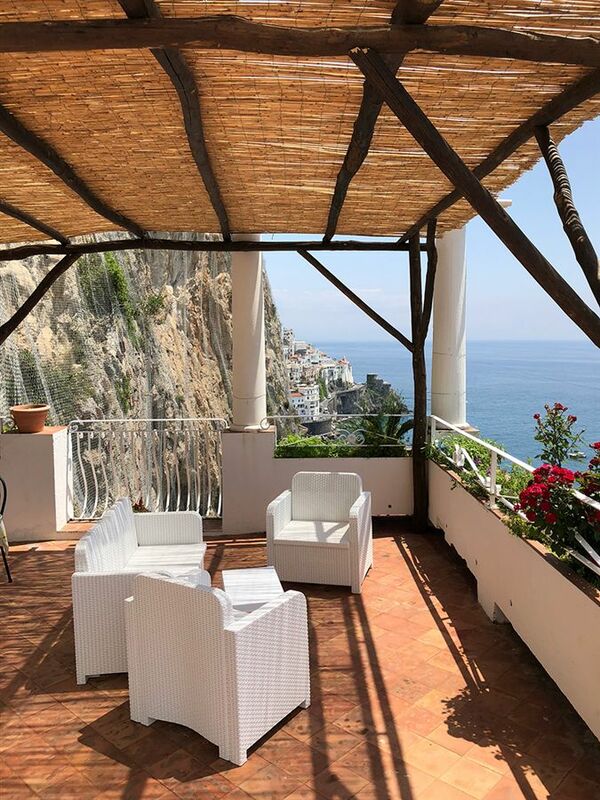 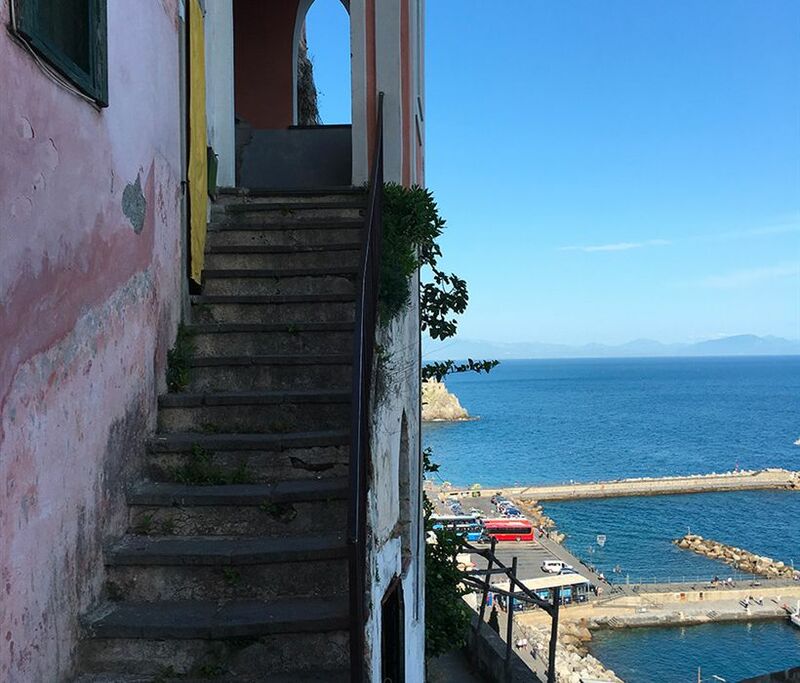 Staying in our Acqua Marina apartment you will have the opportunity to participate for free in organized excursions in Amalfi, Ravello, Praiano, Conca de ’Marini, Valle delle Ferriere, offered by us! 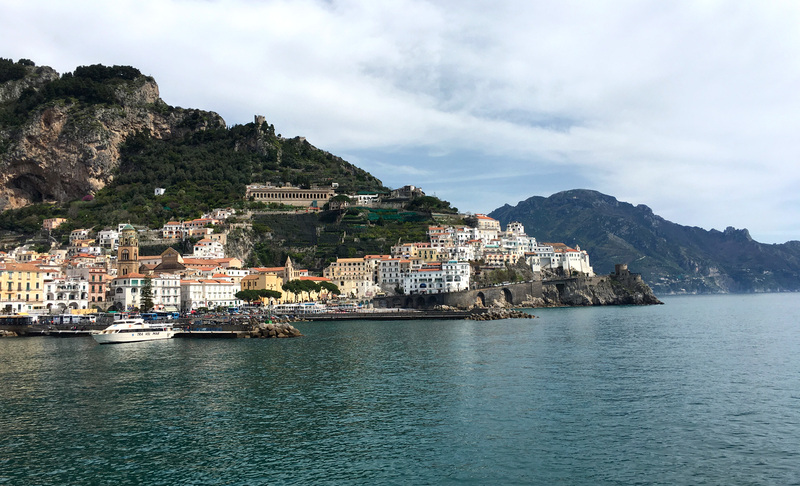 See the Excursions page to find out all the details. 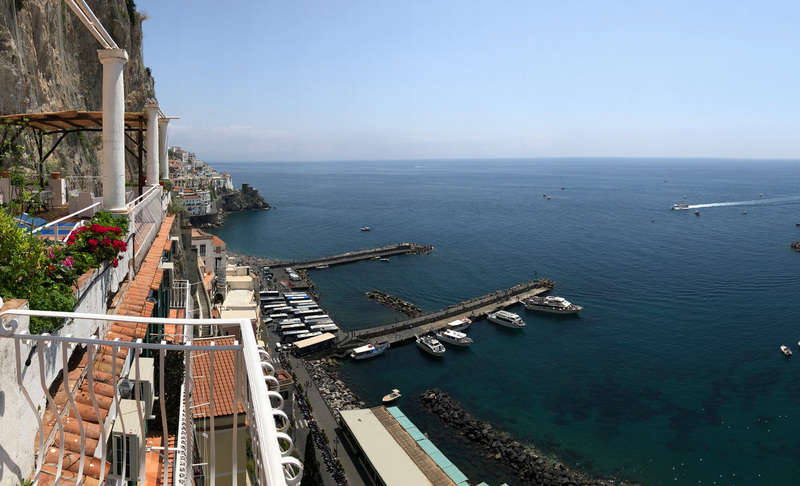 Agreements with transfer service also for private excursions. 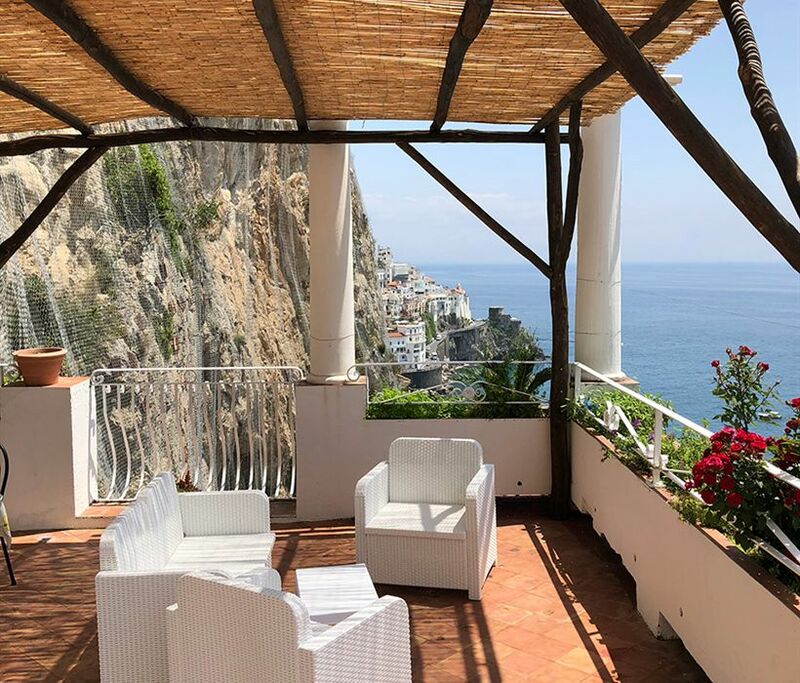 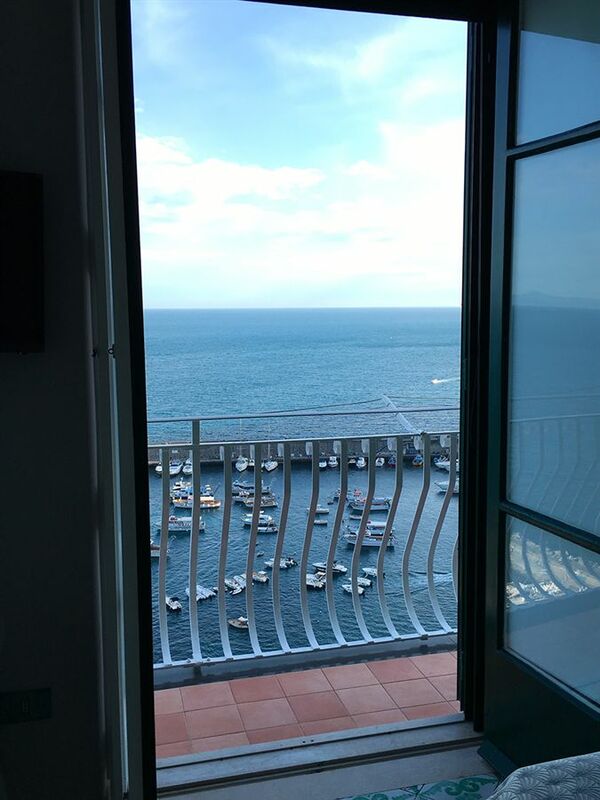 Are you interested in our Amalfi Sea View apartments? 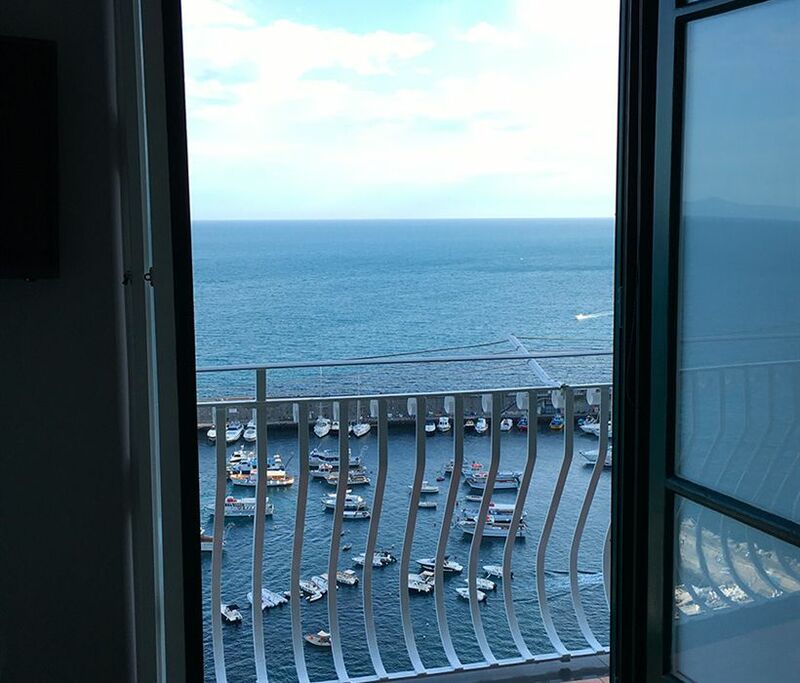 Do you prefer an apartment with a sea view?